Why do earthquakes happen? What properties control the dynamic rupture and what are the processes at play? 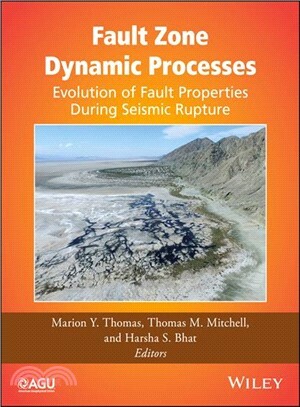 Chapters in the present volume capture the current state of the art by displaying an overview of the existing knowledge on the physics of dynamic faulting and promote multidisciplinary contributions on the observational and experimental fault fabric and mechanics, the evolution of fault zone physical and chemical properties, dynamic rupture processes and physically, and observationally, consistent numerical modeling of fault zone during seismic rupture. What are the dynamics processes recorded in fault gouge? What can we learn on rupture dynamic from laboratory experiments? How on-fault and off-fault properties affect seismic ruptures? How do they evolve trough time? Fault Zone Dynamic Processes: Evolution of Fault Properties During Seismic Rupture is a valuable contribution for Earth’s scientists, researchers and students interested in the earthquakes processes and properties of on-fault and off-fault zones. Its multidisciplinary content is relevant to a broad audience: structural geologist, experimentalists, rocks mechanicians, seismologist, geophysicists and modelers.